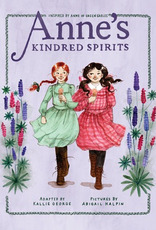 Anne is nervous and excited to meet Diana, a neighbor girl who she just knows will be a kindred spirit. She's even more excited when she learns that she's invited to her very first picnic! Until Marilla's precious brooch goes missing and it looks like it's Anne's fault. That is, Marilla is upset and Anne's picnic adventure is now in jeopardy. Ultimately, the misunderstanding with the brooch is resolved and Anne is able to go to the picnic. Anne and Diana's friendship blossoms and Anne's bond with Matthew and Marilla grows stronger. 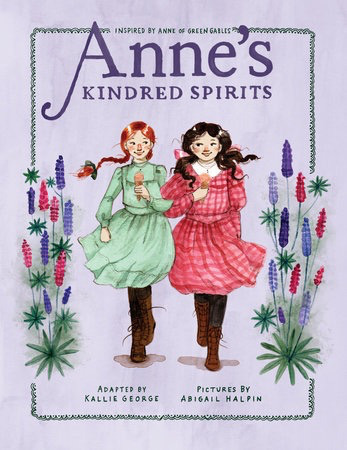 Lovingly adapted by Kallie George with beautiful nostalgic illustrations by Abigail Halpin, this series is perfect for fans of Anne, new and old.